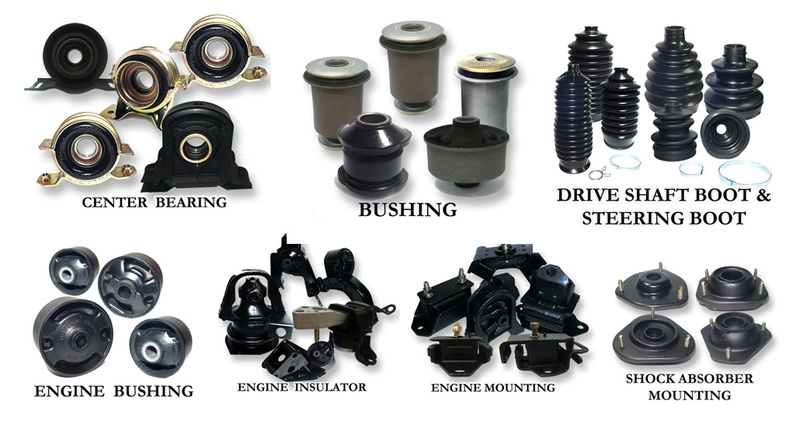 The manufacturer of car parts, with expertise in rubber products. Production technologies adopted from Japan and Taiwan, along with 15 years of experience, helps the company to stand on the international platform as a recognized and accepted car parts company. The company pays attention to the quality consistency to gain trust from customers in the products and services	making them believe in the durability, comfort and safety of the vehicles. It is also the representative of leading auto operators in Thailand. It is successful in planting confidence in customers’ hearts that the cars will not break down, but in case anything unexpected happens, the company is ready to take responsibility because it realizes in its position as the representative of Thailand as well. South America, Central America, North America, Poland, Philippines, Singapore, Australia, the Middle East, and the Caribbean Islands. For the delivery in Thailand, the company relies on the service of taxi centers to distribute products nationwide. T Mark creates a good image for the business which is essential for communicating the products with foreign customers. 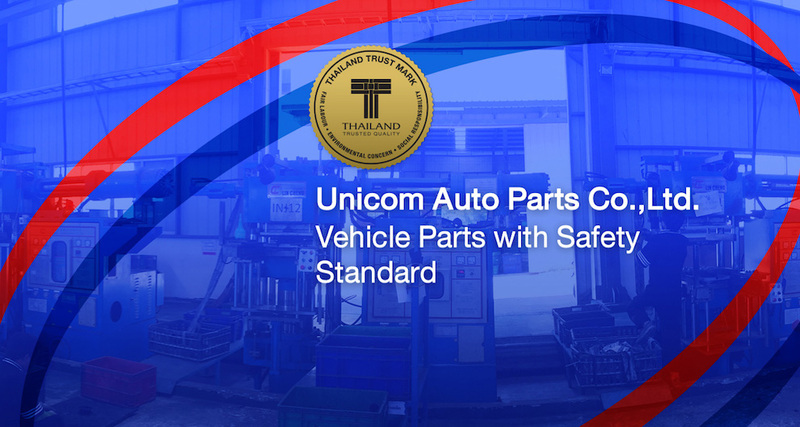 The Unicom Auto Parts is the first T Mark member in the vehicle group that is awarded the Thai quality seal. Behind the feeling of safety and reliability of each driver lies the high standard production of car spare parts. Leading global vehicle companies such as Mercedes-Benz, Fiat, Chevrolet, or Toyota all rely on producers from Thailand, the Unicom Auto Parts Co., Ltd.
A manufacturer of car components including engine mounting, engine insulators, or shock absorbers. These products are all made of high quality para rubber, and the production process from upstream all the way to downstream take place in Thailand. Despite a number of competitors from various countries, the Unicom's Auto Parts is able to make a difference with the perfect production starting from the first step of mixing raw rubber, mold casting, assembly, research and development of products to suit customer needs. These rigorous rules allow the company to control and regulate the production timeline to meet the needs of customers. Made-to-order service is also available to fit different structures or systems of vehicles. The Unicom Auto Parts joins hands with the Thai-German Auto Part Association to develop products that meet international standards to be exported. The products are approved by many institutions and pass the standard quality test by ISO9001, ISO10400, or TS 1699, and so on. With more than 15 years of operation, the Unicom Auto Parts knows not only to predict the potential needs of clients in advance, but also to keep improving the production which is equally important. The Unicom Auto Parts selects only the cutting-edged innovation and technology as tools to differentiate itself from other competitors, and to open the market in new countries, such as the African region, and the Caribbean – Latin region. 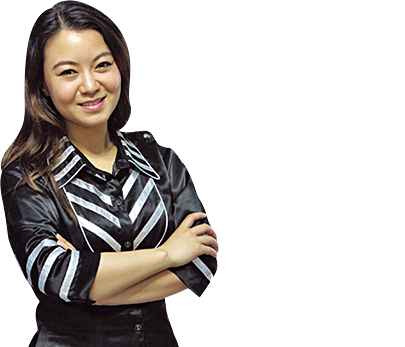 The company also invests in machinery industry like 3D scanning to obtain sharp images with high resolution needed for checking product quality (QC: Quality Control). As machines can work more precisely than human workers, the company as well adopt the use of innovative 2D laser cutting to vehicle parts with the highest precision. Exporting its products to many countries around the world, the Unicom Auto Parts has set service standards at the highest level. The company has international distribution representatives who have a great command in English and Chinese stand by for 24 hours a day to adequately communicate with a diverse group of clients.